The Apple iPhone rush might be tailing off after its first month of sale, but apparently a second-generation, 3G-equipped model is on the way sooner than expected. There has been a significant decline in demand for the Apple iPhone in the last few weeks, according to a research report by CIBC World Markets . "Based on our store checks, we believe that demand for the Apple iPhone has seen a significant decline in the past 10 days," analyst Ittai Kidron said. "We have noticed decent inventories at stores, and thin demand at best. In fact, most Apple store visitors were not looking at the device and only a very small subset bought it," AppleInsider reported. Kidron said that the reduced demand could spur Apple and AT&T to release a second-generation Apple iPhone model earlier than expected, and to step up marketing efforts. "Checks suggest Apple is actually looking to introduce a 3G version of the Apple iPhone for the US market in November, ahead of the holiday season and earlier than currently expected," he said. Apple has been criticised for not including 3G capability on the Apple iPhone , instead relying on AT&T's slower EDGE network. 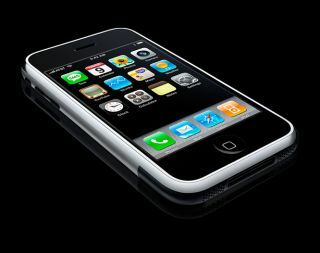 "Apple's CEO Steve Jobs admitted the Apple iPhone's cellular connectivity can use an improvement. We now believe the 'improvement' could come soon," Kidron said. The demand predictions, along with the low numbers of Apple iPhone activations during its first weekend on sale, made Apple's shares slip yesterday.